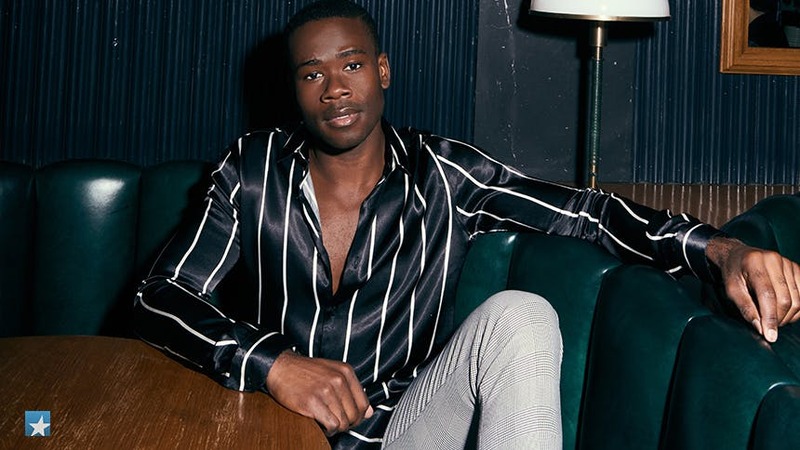 BroadwayBox and photographer Jenny Anderson launch a new photo and interview series this fall spotlighting 10 current Broadway musical replacement stars whose performances left us stunned in our seats! The illustrious group (ranging from title stars to scene-stealing co-stars) was shot at the beautiful West Village restaurant The Spaniard. Next up is the pride of Pride Rock, Bradley Gibson. After making his debut in A Bronx Tale, Bradley made the leap to Disney's Tony-winning, megahit musical The Lion King, where he stars as Simba. Bradley's performance is grounded yet playful, moving, and incredibly sung (be sure to watch the new Broadway Unplugged video of him below!). He's got undeniable star power up onstage. 1. Tell me about your journey with The Lion King, from your introduction to the Disney property to finding out you’d play Simba. The movie was the first movie I ever saw in the theaters, and it's the first Broadway show I saw. I went for a high school choir trip, and I fell in love with it. I loved the story. I was a Disney freak as a kid. Simba was my first superhero. He's fighting the bad guys; he's on a journey of self-discovery; he's healing. But also, The Lion King was the first time I'd ever seen so many people of color onstage—people that looked like me, doing what I wanted to be doing. I'm from such a small town, where no one was really trying to pursue performing—especially no one that looked like me or came from a background like I did. So, seeing a full stage of people who I could understand and relate to like that blew my mind. 2. When you were cast, where did you begin the process to find your Simba? The first thing I did was watch the animated film because I hadn't seen it in so long. I really started to think about the character arc, and his journey, and connecting myself to that. How do I see myself in Simba? And what I see for myself in relation to him is the journey of healing. We all have lost someone important in our lives. We’ve all had to deal with the feelings of who am I, what do I want to do, and am I going to disappoint my family? How do I make them proud but also make myself proud? So, finding a little bit of myself within him was my first step, because if I don't connect then I can't do it. 3. Finish this thought for me: My Simba is ____. My Simba is open. That’s what I try to do every single night in the show. The show has been seen by over 95 million people in 21 years now, and I think the reason why people connect to the story so much is because, despite The Lion King being a story all about animals, it's the most human story ever. There are these amazing moments in the show where you can hear a pin drop in the audience because they're listening and because they're connected and because it's probably healing their hearts and opening their eyes too. I hope that me being open only allows that to happen even more so, because I know I feel it in my heart. There are moments when I'm in shock because I'm so emotionally here right now. 4. You are in killer shape for Simba (as anyone who follows your Instagram knows). What's your favorite way to stay in shape, and then what's your ultimate, full-out, treat-yourself cheat meal? I've been plant-based for almost a year now (which was a huge life change for me), but I’ve never felt better. I feel so clean and so pure. I also have more energy. I'm not nearly as worried about what I'm eating as much, because I know when I do eat I'm eating plant-based fuel that's only giving me energy and providing me with the endurance to do the show. As for my favorite cheat meal? Oh my God, I have the biggest sweet tooth in the world. I love sugar, and I have to fight myself every day not to have it. So, chocolate, ice cream—all of it. 5. This series is about replacement performances that left us stunned. What’s a performance you saw as an audience member that left you stunned? I always think about seeing Pippin and seeing Patina Miller. I was in college in Boston when it was at the ART, and I went on a whim, and I was in shock. The energy, the commitment, and the complete reinvention [of The Leading Player], which was so authentic and so grounded. She was carrying that whole show on her back. She made it look so easy. From that point on, I was like, ‘You’ve got to make it look easy.’ I have the most respect for [Patina]. I saw it twice on Broadway afterwards. I was a huge fan. 6. What do you feel was unique about your replacement process in The Lion King? It was my first time replacing, and that was really, really different. Replacing is a whole different beast because it was just me learning a show that some people have been there with since day one. I compare The Lion King to a moving train that's not stopping for me, so I have to find the right moment to jump on. 7. What did you learn about yourself doing this thing that you've never done before? What did it teach you about who you are as an actor? Every job and every show continues to show me that I can do this. Everything I've done has been so different. This is definitely the most physical thing I've ever done on Broadway. It's also my first time having a big ballad on Broadway and being alone onstage and doing that whole thing too. These are moments you dream about, but when it happens you think, ‘Can I do that?’ But I'm doing it ,and it feels good, and it feels right. I'm just proving to myself that I'm where I'm supposed to be. Photographed by Jenny Anderson at The Spaniard Restaurant. Hair and makeup by Austin Thornton and Gianna Yanelli. Styling by Jake Sokoloff. Assistant Stylist: Phylicia Pearl Mpasi. Shirt & pants by Zara, with boots by Noah Waxman. Get yourself over to Broadway's Minskoff Theatre to see Bradley Gibson as Simba in Disney's The Lion King.